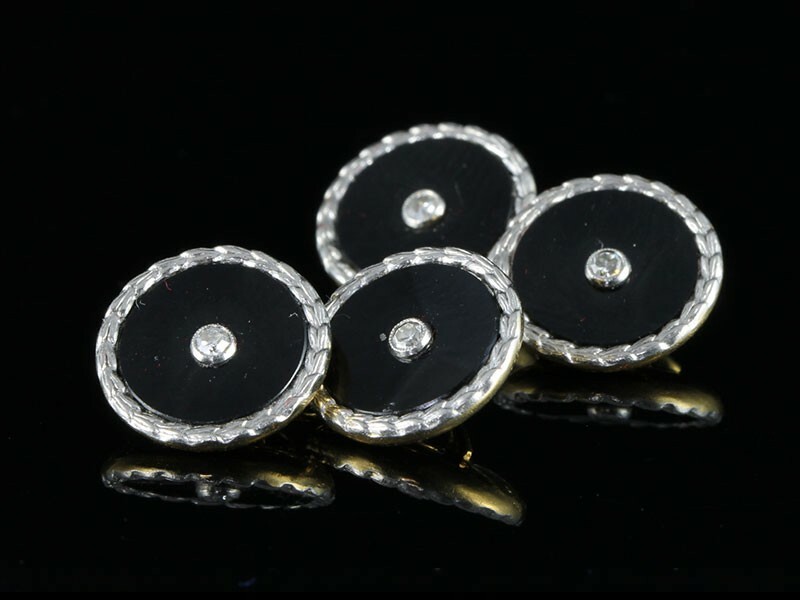 These chic and sophisticated original 1920's gentleman's cufflinks, in glorious black & white, are composed of 10mm wide and slightly concave Onyx discs pierced dead centre with a sparkling Eight-Cut Diamond. 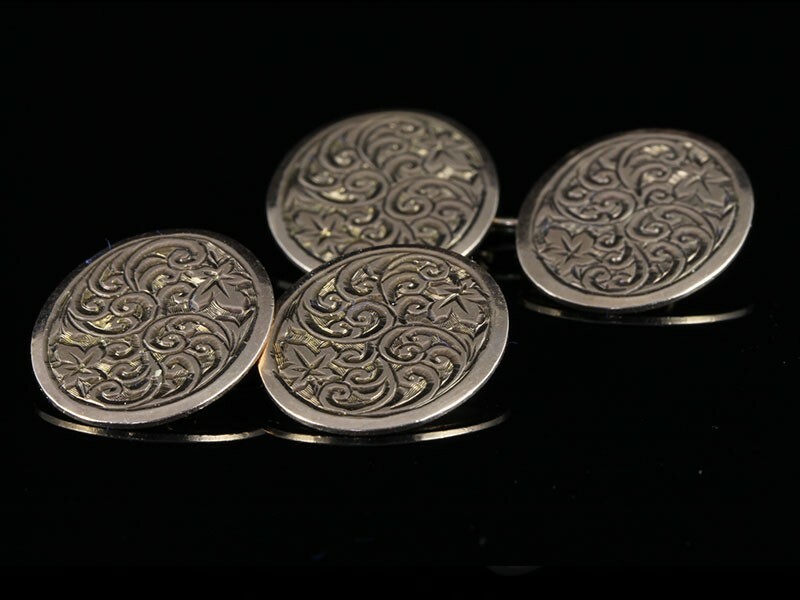 Stunning original Circa 1900's 9ct Rose Gold, double hand engraved Edwardian Oval Cufflinks detail a crisp and intricate pattern combined with rose gold. 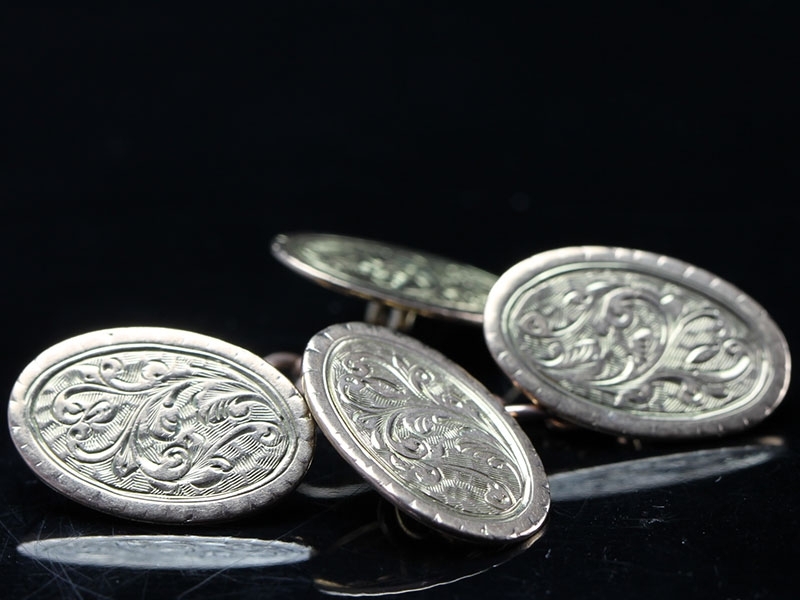 Each cuff link is beautifully engraved with a border that frames the lovely Antique cufflinks. 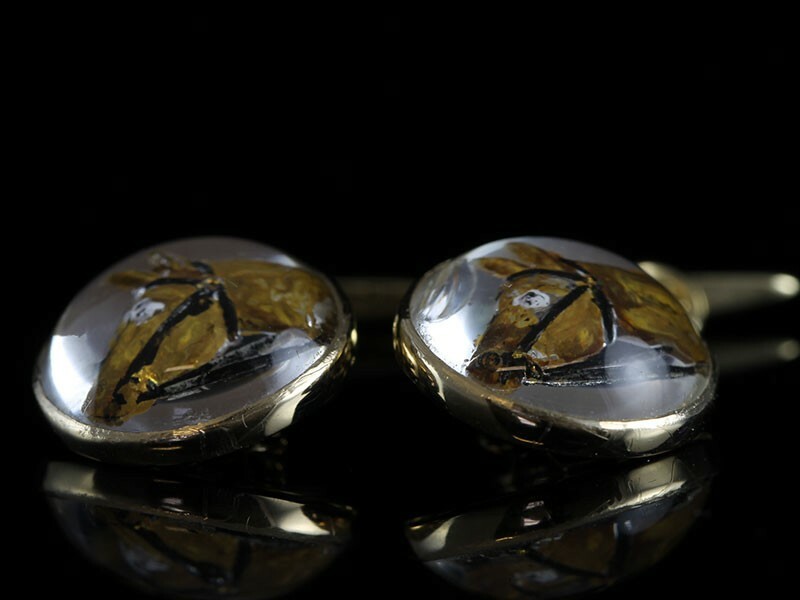 Circa 1920's Intaglio Crystal cufflinks with a with a study of a bridled horse, hand painted and with mother of pearl backgrounds set in 18 carat Gold mounts and links. 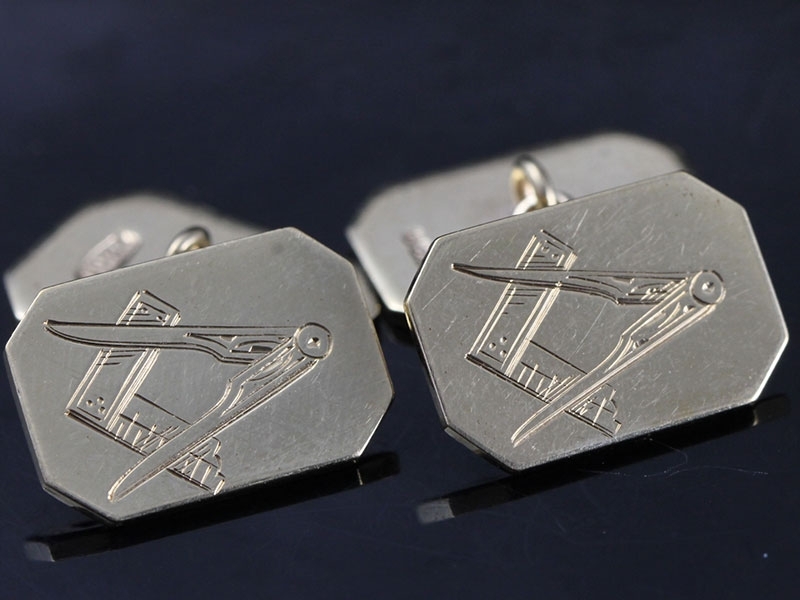 Look sharp with these solid Silver double sided cufflinks! 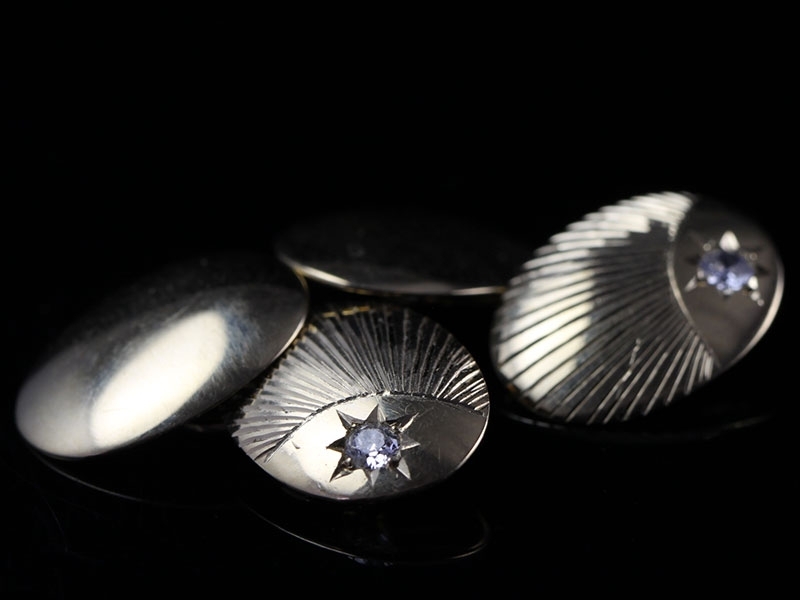 These sterling Silver cufflinks are the perfect accessory to dress up your outfit. 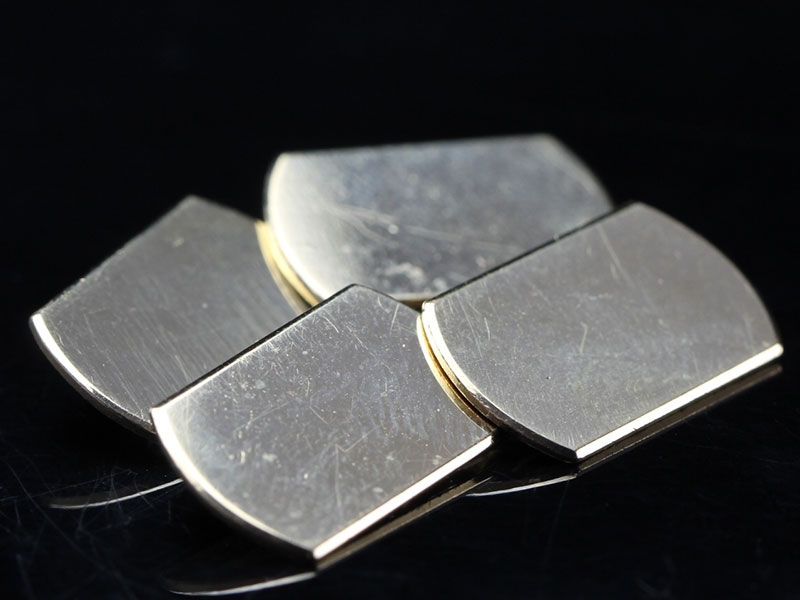 Sublime 18 carat Gold, geometric design oval cufflinks which are original Edwardian and simply radiates unsurpassed elegance. 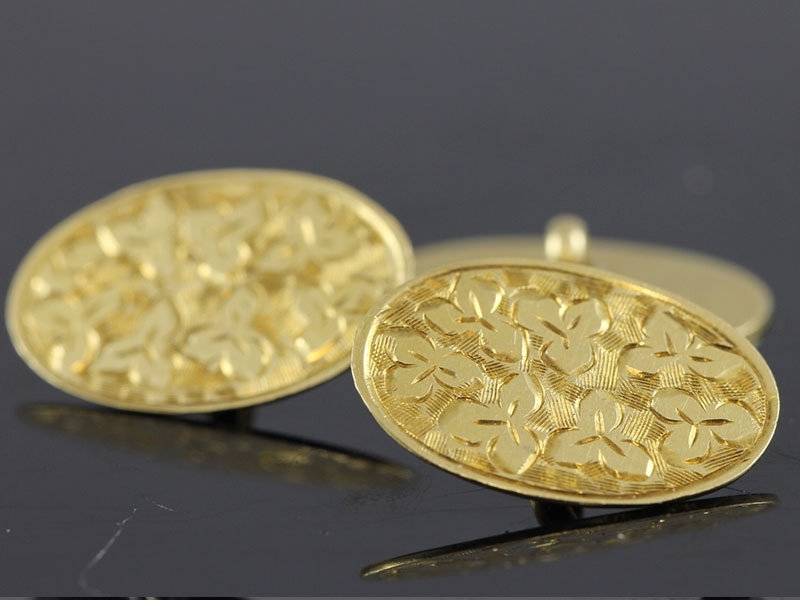 These elegant cufflinks are hand engraved with scroll foliate work and joined by a substantial Gold chain links. 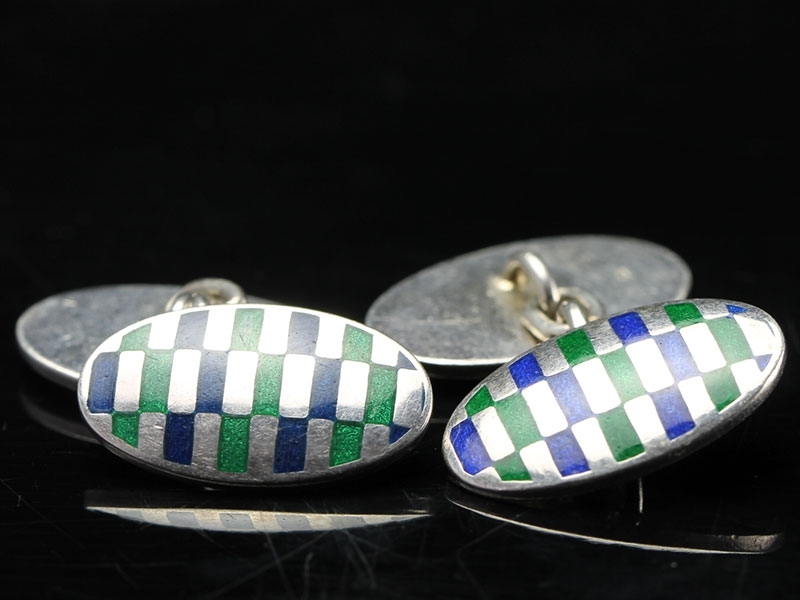 An excellent pair of original 1920s Art Deco double ended cufflinks has a sophisticated look - perfect for any setting! 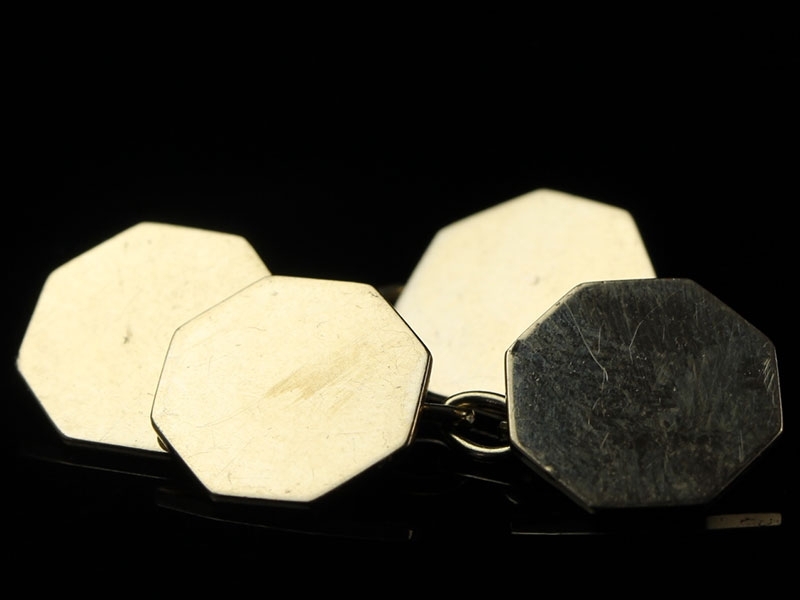 Cufflinks for those occasions where your cuffs make a real statement about who you are. 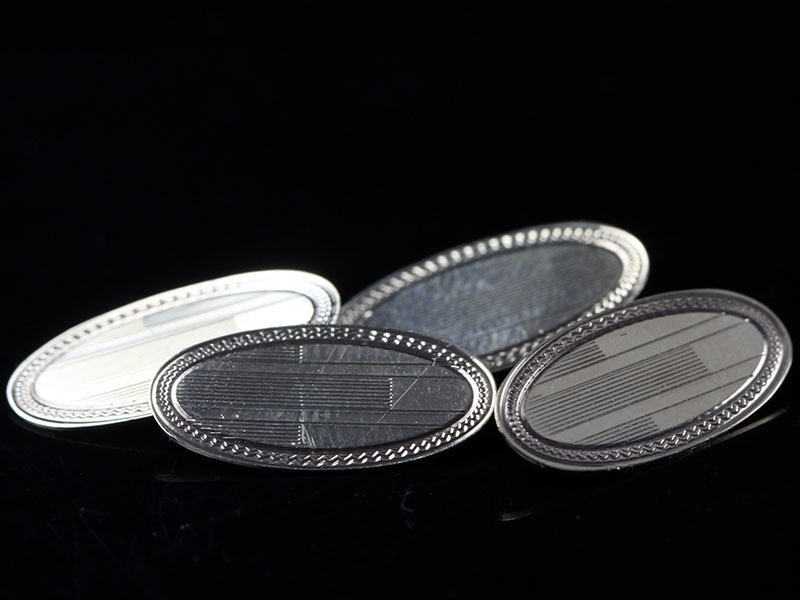 As the cuff moves so the light changes with the engraving with the extra sparkle of a Diamond, most spectacular. 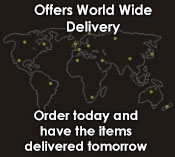 Show partner how much you think of them by giving this wonderful gift. Circa 1920s. 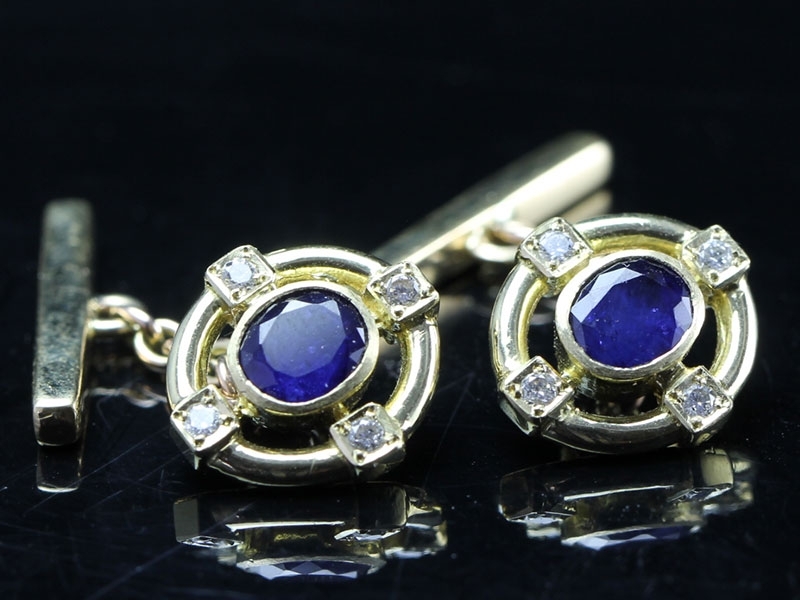 These stylish 9 carat Gold Masonic cufflinks really makes a statement!